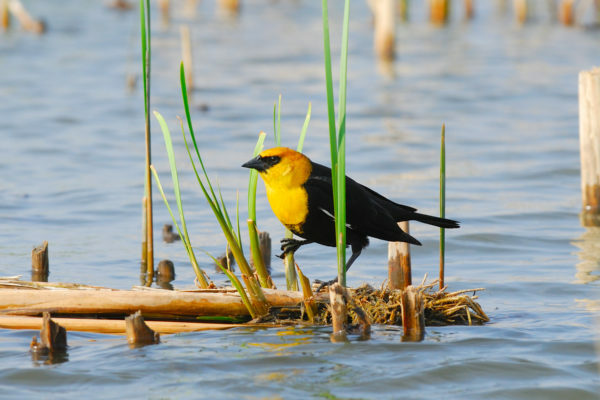 Join Doug Stotz, Senior Conservation Ecologist with the Field Museum’s Keller Science Action Center and Illinois Audubon Board Member, for a tour of the Sue and Wes Dixon Waterfowl Refuge in Putnam County. The Refuge, a 3,000-acre mosaic of lakes, marshes, seeps, savannas, and prairies, is a critical stopover site for thousands of migrating waterfowl. See Bird Checklist. Seep Trail: 1 mile trail through rich woodland and a rare wetland seep habitat. Doug will also share the amazing history of the site and the Wetland Initiatives goal to restore levels of biodiversity approaching what was once typical of the Illinois landscape prior to European settlement. Trip cost includes lunch, snacks and water. Date: April 27, 2019 Time: 7:30 a.m. to 2:30 p.m.